Let´s generate solutions for resilient cities and peri-urban areas! 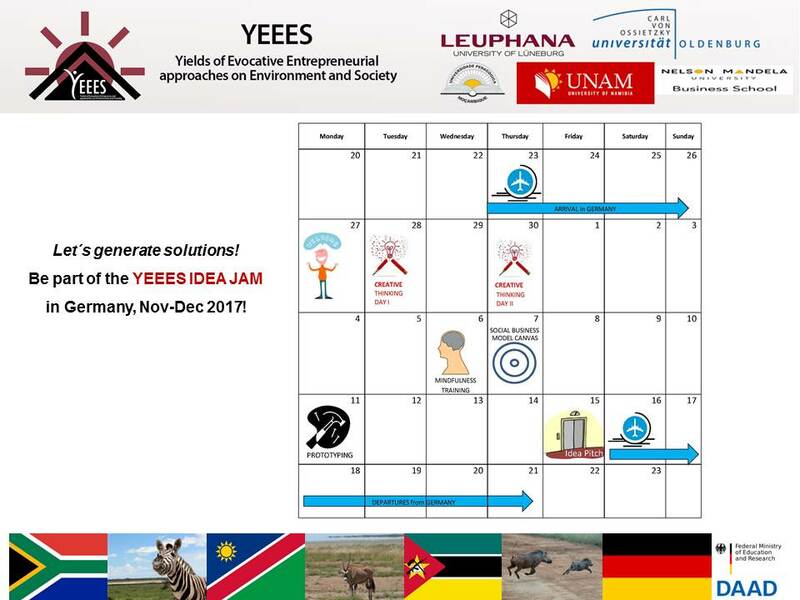 Be part of the first YEEES IDEA JAM in Germany, from November and until mid December 2017! The YEEES project invites to a LAB on sustainability oriented entrepreneurial solutions for resilient cities and peri-urban areas at the Leuphana University Lüneburg. According to the United Nations by 2050 more than 65% of the world population will be living in cities. How can this cities adapt to the challenges and growth that they are being confronted with? How can we take measures today to improve tomorrow’s future? 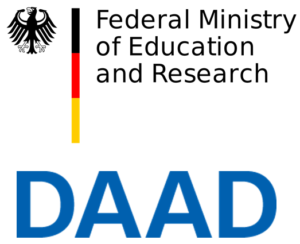 During one month you will work in international and interdisciplinary teams generating ideas and solutions for the challenges of cities and peri-urban areas, specifically in Germany, Mozambique, Namibia and South Africa; but adaptable to further countries. Our goal is to generate, structure and present innovative, social and ecological entrepreneurial solutions for resilient cities on the different YEEES Topics. The LAB is open for students living in Germany, Mozambique, Namibia and South Africa. Selected students do no have to pay for a participation fee. They get access to the trainings and a certificate of participation. Students coming from an African partner country receive financial aid for travel expenses. This includes flight cost and weekly allowance to cover accomodation and meals.